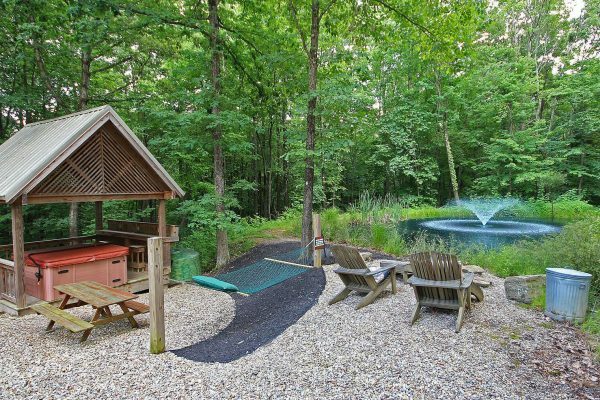 Cherry Ridge Retreat’s Whispering Pines is situated next to a private pond with seasonal (summer) fountain, both of which may be viewed from the pond-side gazebo with NEW 4 person Hot Springs Hot Tub or from the pond side fire pit with Adirondack chairs. 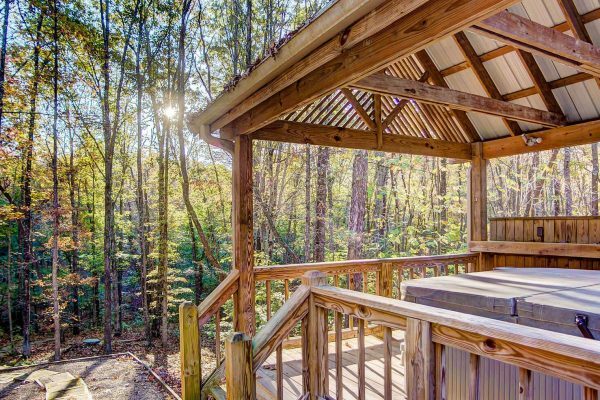 You won’t believe the feeling of sitting in the hammock or next to the fire pit as you listen to the water splashing and the frogs chirping. Whispering Pines features a King Deluxe Memory Foam High-End Mattress in the downstairs Master Bedroom and sliding glass door from the master bedroom leading directly to the gazebo. 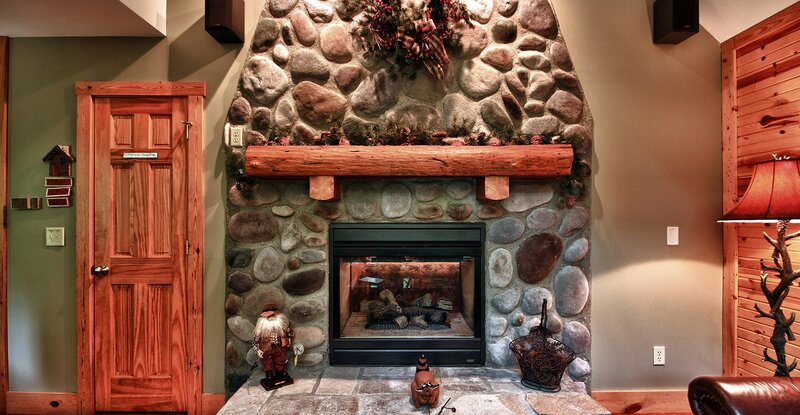 Stone fireplace (Lennox Elite Gas Log) in family room and master bedroom. 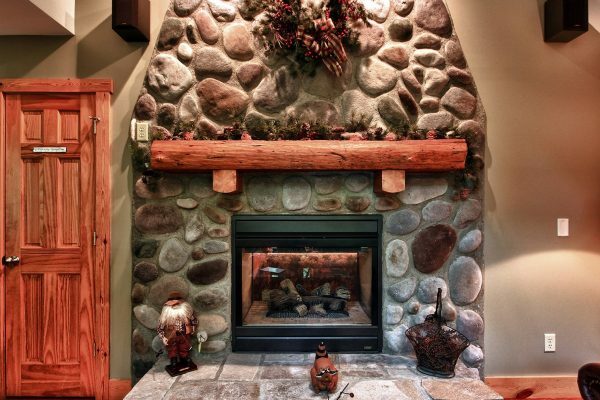 Indoor fireplaces are a seasonal amenity and only available for use after Labor Day and before Memorial Day. Thank you for your understanding. 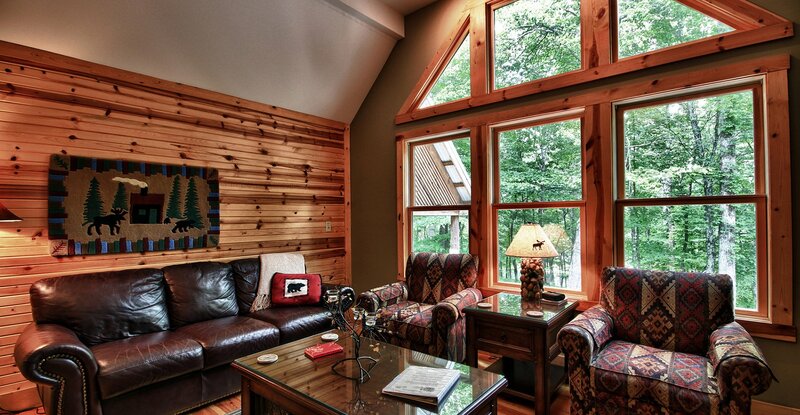 Our deluxe cabins are designed to be the Hocking Hills #1 Accommodations for those who want the best. Absolute attention to every detail has been built into these cabins to assure you the finest vacation experience possible. 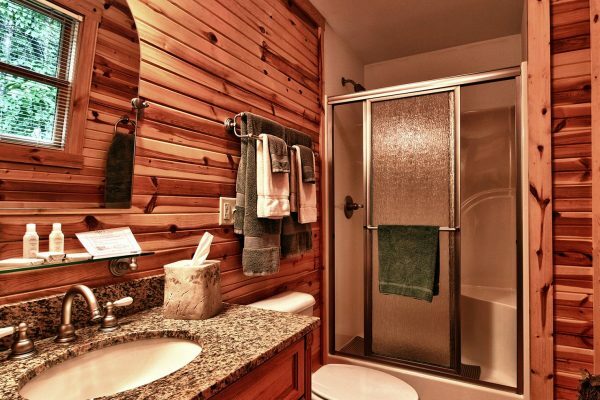 All of our deluxe cabins are detailed to maximize comfort, pleasure and absolute privacy for your getaways in Hocking Hills. 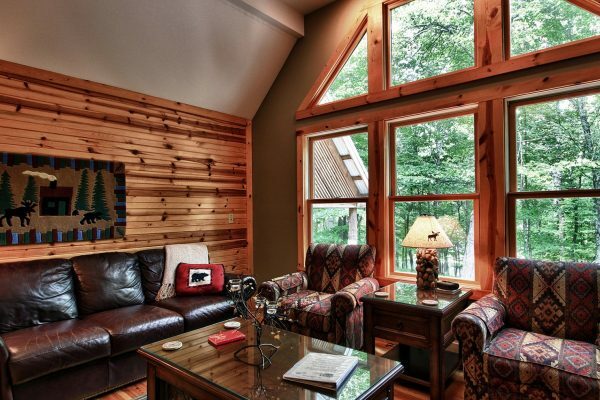 Our living rooms feature artist designed furniture, stylish yet comfortable sofas and chairs, wide-plank wood floors, cathedral ceilings, picture windows and a gas log boulder fireplace. 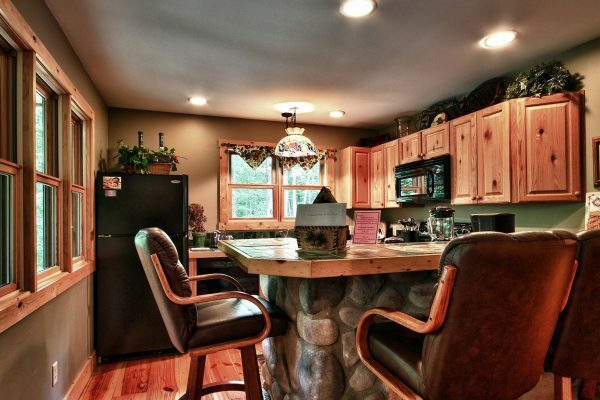 Our spacious open-plan kitchens are suitable for preparing a gourmet meal. They include food processors, coffee grinders, Calphalon cookware and a bar that overlooks the great room. 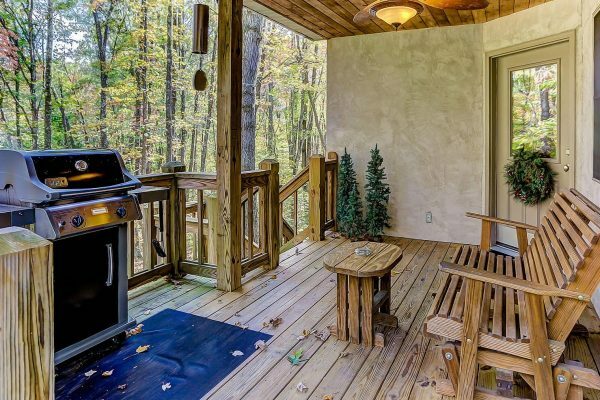 We also provide stainless steel barbecue grills with propane included. 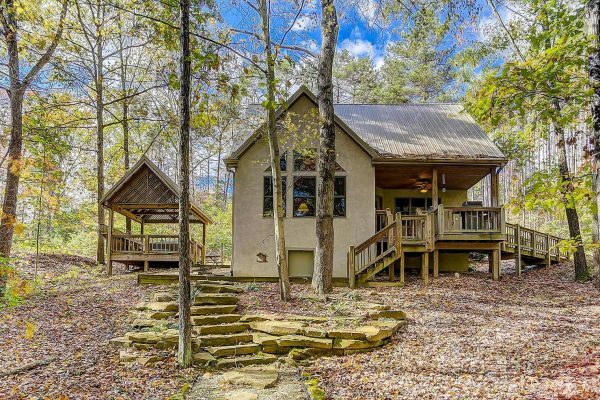 This deluxe cabin features two comfortable bedrooms with woodland views. 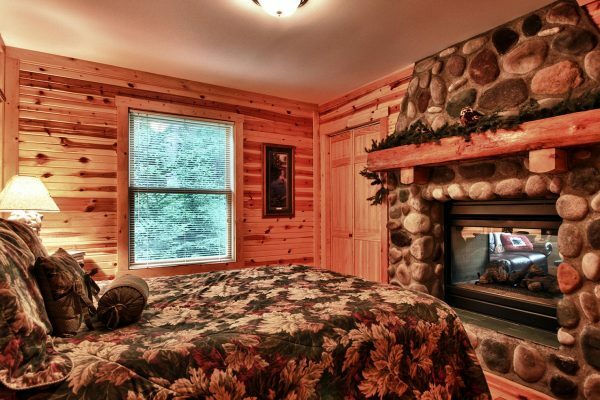 The master bedroom includes a gas log boulder fireplace. Our deluxe beds and ultra-soft linens have been chosen to ensure your stay is a comfortable, restful one. 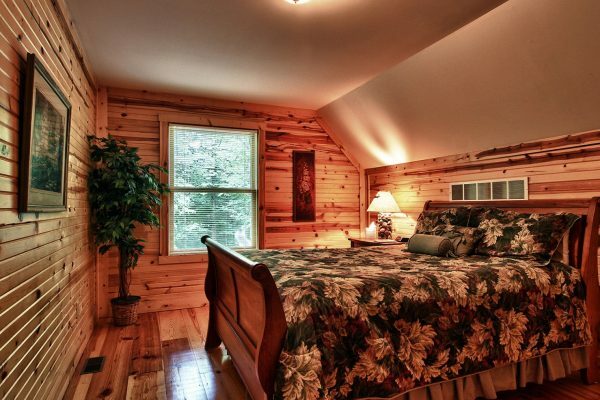 The upstairs bedroom is equipped with a Queen Bed.